For as long as I can remember, I have wanted to tattoo a tree on my back. As my fortieth birthday draws closer and I'm starting to surrender to the real possibility of getting my first tattoo, that tree I can see on my back keeps calling me. It's not a first tattoo, but I'm considering it as I think about how the first tattoo fits into the eventual pieces. 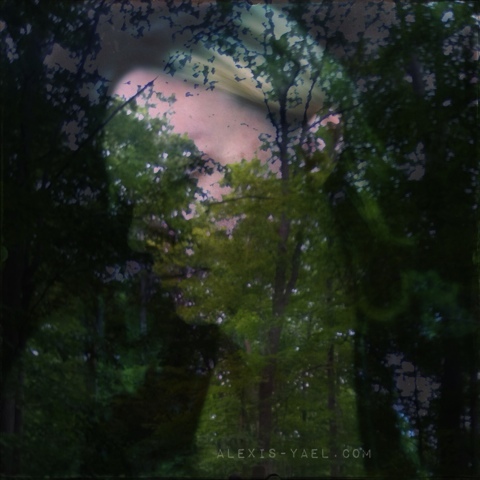 It's no wonder that trees are probably the number one thing I use in my double exposures (outside of portraits, including self portraits). And it may be that double exposures are the closest I get to having a tree on my skin. I may decide not to get a tattoo at all, or to only get one, or - well, there's many things that can happen between now and a hypothetical back piece. In the meantime, I have the ability to transform myself, photographically, and that is a wonderous thing.